In any conversation about great soul singers, there are certain names which always spring to mind. Among those, the first to be mentioned will usually be people like Ray Charles, Sam Cooke, Solomon Burke, Bobby Bland, Otis Redding, Marvin Gaye, Al Green, Aretha Franklin and Etta James. One name that is unlikely to be raised in such a discussion (outside of the United States that is) would be Johnnie Taylor. However, I would contend that, purely as a singer, he deserves to be mentioned in the same breath as those great artists. Indeed, if versatility, consistency and longevity are taken into consideration, he deserves to take a place in the very first rank of such singers. In this regard, it was both his blessing and (in a sense) his curse, that his career was to be so closely associated with two of the greatest soul singers of all time. At the outset of his career, he was a protégé of Sam Cooke who, in my opinion, ranks as the standard by which all such singers should be judged. Later in his career, in the early part of his time with Stax Records, he was clearly lower on that label’s priorities than was his stable mate, Otis Redding. Ultimately, one result of this interweaving of Taylor’s career with two such brilliantly accomplished singers was that his work was constantly held to the very highest and most exacting standards. Arguably, this set of circumstances also meant that his own extraordinary achievements (both commercially and in artistic terms) tended to be taken for granted and he rarely received the type of critical accolades which the consistent excellence of his work merited. 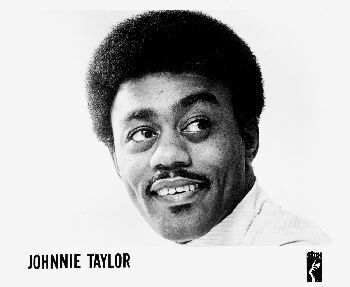 To quote from a recent Toppermost by Dave Stephens, like “most self-respecting soul singers” Johnnie Taylor began his career singing in his local church. Encouraged by his grandmother, he did so at their local church in Crawfordville, Arkansas from the age of only six. By the time he was a teenager, he had graduated to singing in a gospel quarter, the Melody Makers, whose primary base was Kansas City and its environs. It was while singing with them that Taylor first met Sam Cooke. This meeting proved to be a critical one for Taylor’s later career, as Cooke was not only a crucial influence on his later singing style but also one of his earliest and most important mentors and patrons. In this early part of his career, Taylor frequently zigzagged between gospel singing and performing in a more secular style. For example, his first recordings were made with the Chicago based doo-wop group, the 5-Echoes. At the same time, he was also appearing occasionally with the gospel group, The Highway QC’s, whose previous members had included singers of the calibre of Lou Rawls and Sam Cooke himself. It was while with them that Taylor recorded the excellent Somewhere To Lay My Head in 1955 and the classic I Dreamed That Heaven Was Like This. The sheer quality of Taylor’s singing on both records also meant that he began to draw the attention of leading figures within the gospel music fraternity. … which was far closer in manner to Cooke’s vocal stylings than were his later recordings. Some of the other recordings he made in this period also rank as some of his very best vocal performances. The most notable of these perhaps is The Love Of God. After leaving the Soul Stirrers in 1960 under rather cloudy circumstances Taylor spent some time working as a Baptist minister. By early 1961, however, he had decided to re-embark on a career in music, signing to Sam Cooke’s own record label, SAR Records. 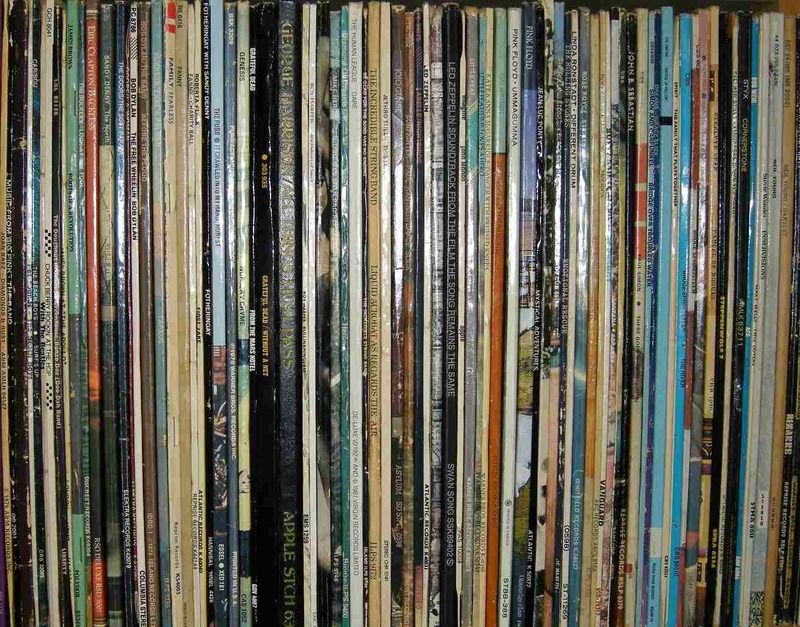 For convenience sake, I have divided the remainder of Johnnie Taylor’s career into sections based on the record labels for which he was recording at those times. Although, in some respects this represents an arbitrary division, at times such changes also coincided with major shifts in the musical direction that he was following. Signing with SAR offered Taylor his first major opportunity to achieve mainstream commercial success. Given his close association with Cooke up to that point, Taylor also now had the opportunity to take advantage both of the latter’s keen eye for a pop hit and his flair as an arranger. Both of these skills were clearly apparent at the recording sessions which Cooke supervised for Taylor’s best single for the company, Rome (Wasn’t Built In A Day). It is also my first choice. For those interested in discovering more details about the approach which Cooke took towards working Taylor, there is a very good description of that process in Peter Guralnick’s great book, “Dream Boogie: The Triumph Of Sam Cooke”. Both there and elsewhere in the book, however, Guralnick tends to exaggerate the extent to which Taylor’s approach towards singing ‘cloned’ Cooke’s style. While there was a clear similarity in their voices, Taylor’s work generally had a grittier and harder-edged feel. There were also temperamental differences between them which were reflected in the way that they sang. In his recorded work, at least, there was often a transcendental, almost other-worldly grace to Cooke’s style. By contrast, Taylor always sounded emphatically like a man of the world. Even when singing gospel; for example, he always seemed as if he was personally well acquainted with the sins and foibles of which he sang. This ‘knowing’ quality to his style was always to be a central part of his appeal. Despite its artistic excellence, however, ‘Rome’ did not achieve the commercial success it deserved. Indeed, Taylor achieved relatively little commercial success with SAR with only one of his singles there (Baby, We’ve Got Love) breaking into the Top 100 in the R&B charts. This lack of chart success also led to some minor tension between Cooke and Taylor, although the two men remained close friends right up until the former’s untimely death in December 1964. Indeed, one of the last occasions that the two men had spent time together was at a gig by his namesake, Little Johnny Taylor, just a few nights before Cooke’s death. There was a degree of irony in that fact, as Taylor was to go on to adopt elements of his namesake’s style in much the same manner as he had previously done in Cooke’s case. At the time, many people tended to confuse the two artists. As a result, Johnnie was able to capitalise on the popularity which the other Taylor had achieved through his break-out chart hit, Part Time Love. Following its success, Johnnie Taylor began to include the song and similar blues-styled numbers into his own sets. Eventually, he started to style himself as ‘The Blues Wailer’ and, with typical opportunism, filled the gap left by Little Johnny’s failure to find an effective management team to capitalise on his own new-found popularity. Fortuitously, Johnnie Taylor’s new grittier blues-influenced style also made him a natural fit for Stax Records when he approached them for a deal in early 1966. By signing to Stax, Taylor also secured the services of its brilliant in-house band (for those interested in finding out more about their backgrounds and subsequent careers, Dave Stephens’ excellent recent Toppermost on Booker T. & the M.G.’s is highly recommended). Johnnie Taylor’s time with Stax was to prove the most successful period, both artistically and commercially, in his entire career. From his very first recordings on the label, he quickly developed an almost intuitive understanding with the musicians there. Several of them later spoke of their intense respect for Taylor, both for his own undoubted talents but also because of his close associations with Sam Cooke and the early day of ‘Soul’ music. This mutual respect and understanding is clearly shown in my next choice, Little Bluebird, a sophisticated blues number which Taylor sings with that combination of delicacy and grit which characterised most of his performances on Stax. A turning point in his career at Stax was the brilliantly propulsive single, Who’s Making Love, first released in 1968, which reached No.1 on the R&B charts in America and No.5 on the Billboard charts there. In some respects, it was a hard record to define: it wasn’t quite funk, it wasn’t quite soul and it wasn’t quite gospel. Rather, it was an amalgam of all three, stamped by the force of Johnnie’s larger than life personality. Although the original version was an excellent one (and a near-contemporary live version of it can be seen in the following clip), I have chosen the version from the later superb live album, Live At The Summit Club, for inclusion. Live At The Summit Club is one of the great live soul albums and belongs on the same shelf as Otis Redding’s Live In Europe, Sam Cooke’s Live At The Harlem Square Club 1963 and James Brown’s first Live At The Apollo album recorded in the same year. Although there are some technical issues with the band early in the gig (which Johnnie proves only too willing to highlight), his vocal performances throughout are of the highest calibre. As on the other albums, the audience also plays a key role on the record and helps create the atmosphere of white hot intensity which runs all the way through it. This intensity is also clearly apparent on the great version of Taylor’s later hit Jody’s Got Your Girl And Gone which is the closing track on the album. This performance was recorded at the time for the film Wattstax (see clip below). It clearly shows Taylor’s extraordinary dynamism and the electricity he created as a live performer. My next choice, Woman Across The River, features another brilliant performance by the Stax band. Johnnie’s vocal also has a superbly dramatic quality to it which showcases his ability to tell a story through a song. At Stax, Taylor also had the opportunity to put together albums which worked as coherent and cohesive wholes in a way which he was rarely able to do later in his career. As a result, the LPs which he made during this period rank among the finest of his career. Of these Raw Blues is perhaps the finest, although Taylored In Silk comes very close to it. Among several outstanding tracks on Raw Blues, perhaps the best is Taylor’s take on the Sam Cooke classic, That’s Where It’s At. His version combines a clear respect for Cooke’s original with a determination to make the song his own. As a result, this deserves a place among the very best covers of a Sam Cooke song ever recorded. From the early days of Johnnie Taylor’s time at Stax, he had developed a close partnership with the record producer, Don Davis. Having briefly worked as a guitarist at Motown, Davis was keen to develop a synthesis between what he saw as the more sophisticated sound developed by that label and the more down home one favoured at Stax. In Davis’ eyes Taylor’s ability to, as Peter Guralnick has put it, combine “gospel fervour” with “vocal sophistication”, made him the perfect candidate to fulfil this ambition. With the classic I Believe In You (You Believe In Me Too) the two men achieved this fusion in a seemingly effortless way. This is Taylor’s greatest vocal performance, one that marks him out as a soul singer of the very highest calibre. There is a wonderful delicacy and subtlety to his singing on the track and this is beautifully complemented by the marvellous musical arrangement which underpins it. Indeed, the intro to the song was so good that Van Morrison was to borrow it (more or less whole) for the beginning of his classic Warm Love. Like ‘I Believe’ my next choice, Love In The Streets also comes from the album, Taylored In Silk. It marks a welcome return to the gospel sound of Taylor’s earliest recordings and, it goes without saying, features some superb singing from JT (as he liked to call himself). Following Stax’s descent into bankruptcy in 1975, Taylor almost immediately signed a new contract with Columbia Records. Initially, at any rate, he also continued to work with Don Davis and with many of the same musicians who had played on his earlier records. Although this is far from being my favourite period in his career, it did result in the biggest commercial success of his life. This was through the rather kitschy single, Disco Lady, which he released in 1976. A rather strained attempt to cash in on the disco trend of the time, it nonetheless went on to become the biggest selling single in JT’s career. It also was the first ever record to be certified as platinum with sales of some two million copies. This is it. In my opinion, the major significance of the song does not lie in this fact, but rather rests on its influence on Marvin Gaye, who was inspired to write the far better song Got To Give It Up after hearing it. Unfortunately for Taylor, the success of Disco Lady also meant that the powers that be at Columbia were determined to follow the formula it had set down in order to secure another hit record on the same scale. In consequence, they spent a large part of his time there providing him with material which was not really worthy of his superb talents. Although he did record some fine songs while there (notably the soul ballad, Running Out Of Lies and the classic seduction song, Play Something Pretty), overall this was not a particularly fruitful period in his work. Eventually, Taylor’s failure to replicate the sustained commercial success he had achieved at Stax convinced Columbia to let him go in 1980. After a short stint at Beverly Glen Records in the early 1980s, Taylor found a far more sympathetic home at Malaco Records, a soul, blues and gospel label based in Jackson, Mississippi. Among the other artists on the label were similar veterans of the calibre of Bobby Bland (one of Taylor’s favourite singers), Little Milton and Shirley Brown. At Malaco, Taylor released a series of excellent, if relatively low-key, albums which returned him to that mixture of soul, blues, gospel and funk music which had always characterised his best work. He was also singing as well as he had ever done in his career. My two final choices come from this period. The first comes from his fine 1987 album, Lover Boy. This was the first record of Johnnie Taylor’s that I ever heard. At the time, I occasionally listened to the BBC World Service and, by chance, came across a record review programme done, I think, by Andy Kershaw. He was reviewing Lover Boy and played a few tracks from it. I was immediately struck by the quality of Taylor’s voice. This came at a time when I was discovering a lot of soul music by people like Sam Cooke, Marvin Gaye, Jackie Wilson, Otis Redding and Aretha Franklin. Here, however, was a singer who was equally good, but one that I had rarely heard mentioned anywhere or by any of the writers who were held up, at the time, as experts on the topic. Of course, given the times, it was not an easy album to track down and, ultimately, I had to source it as an import from, I think, Charly Records. It remains one of my favourite JT albums and I had to include a track from it. The one I have chosen, If I Lose Your Love, is a fine soul-funk ballad which Taylor (it goes without saying) sings superbly. My final selection, Last Two Dollars is yet another demonstration of his mastery as a blues singer. This live performance of the song shows that JT had lost none of his brilliance as a showman even at this late point in his career. Ironically, given his superstitious nature, one of Taylor’s very final recordings was the fine song, Soul Heaven. On the track, which was written by one of Taylor’s regular collaborators at Malaco, Rich Cason, the singer imagines attending a concert in which a stellar cast of deceased musicians take part. Along with older greats like Duke Ellington, Count Basie and Pearl Bailey, the list also includes performers who had been close contemporaries and friends of Taylor himself such as Sam Cooke and Otis Redding. Taylor’s fear of death meant, however, that he was very reluctant to sing the song and had to be persuaded to do so. In a rather strange twist of fate, it proved to be one of the very last songs he recorded before his own sudden death at the age of 66 in May 2000. In the event, however, Johnnie Taylor had long since proved himself to be worthy of admission to the pantheon of greats he described so vividly in that song. Thanks to Cal Taylor for discovering the additional information on the television show in the Rome (Wasn’t Built In A Day) clip. The !!!! Beat ran for 26 episodes in 1966 and featured most of the great soul artists of the time such as Otis Redding and Etta James. This is a well written, well researched, very informative and enjoyable Toppermost, Andrew. Thank you. Top class. Johnnie Taylor didn’t have anything released in the UK until 1966 and I bought most of the stuff he released here in the late 60’s. He was an excellent soul singer. The 1960’s were such exciting times music-wise; so much going on and so much to listen to. At the time we accepted everything for what it was but realised as we got more and more into the music that a lot of the American artists we liked and loved often already had a history. So much to explore, investigate and research, to find a favourite artist’s previously unreleased material. It was (and still is) great. 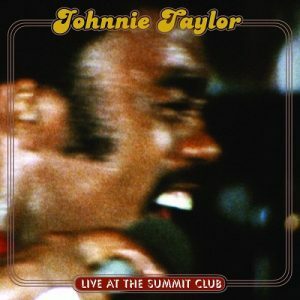 Johnnie Taylor fell into that category and I, surprisingly at the time, found that he had already been recording for the best part of ten years, as reflected in this excellent piece. Andrew, many thanks for a superb essay on an artist who’s largely been ignored in the UK, though I still have my Who’s Makin’ Love single if I could but find it! I particularly enjoyed the observations which were both helpful and pertinent – it’s those things that make a great Topper. I’m blushing re the name checks. Thanks indeed. You’ll also find another Part Time Love in a coming Topper, the one on the Falcons, plus a reference to Motown and guitarists. Transcendental grace (Cooke) vs. Man of the World (Taylor). I hadn’t thought of it that way before, but I think you nailed it. Dave, Cal & Steve – thanks for the kind comments. Enjoyed doing this one as Johnnie was such a fascinating character and a great singer. He was also there from the very beginning of soul music. Cal & Dave – you both discovered Johnnie long before I did. Have to thank Andy Kershaw for introducing me to Johnnie’s music – there is so much great stuff to discover beyond the small selection I was able to include here. It’s funny how someone of such significance who outsells everyone can be forgotten. I suspect there’s a great morality tale in there. Or not a morality tale as such but a lesson in fame and its transient nature.